Schlumberger has announced the acquisition of Peak Well Systems (Peak), a specialist in the design and development of advanced downhole tools for flow control, well intervention and well integrity. The addition of Peak’s mechanical and remedial solutions for cased-hole well intervention strengthens the Schlumberger Production Services portfolio with a broader offering of mechanical services to its global customers. Peak Well Systems designs and manufactures advanced downhole tools that isolate, extend well life, restore well integrity and enhance well performance with SIM* retrievable bridge plugs and disruptive technologies such as the SIMULTRA* plug, which is a high performance retrievable bridge plug capable of providing HPHT and gas tight (ISO 14310:2008 – Grade V0) zonal isolation, even in sour gas conditions. Existing Peak customers will continue to have access to the full range of Peak’s well intervention products, and will now benefit from a wider distribution network and world-class service delivery platform offered by Schlumberger, in all global markets. 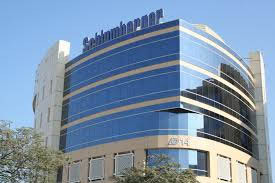 Schlumberger acquired Peak from growth equity investor Summit Partners and the company’s founders and management team.